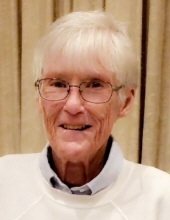 CARBONDALE - Judy L. Baine, 72, of Carbondale passed away on Tuesday, January 29th 2019. She was born in Carbondale to parents Olen & Margaret (Boos) Baine on August 3, 1946. She managed Carbondale Bowl for many years, and was one of the best women bowlers in Southern Illinois. Judy enjoyed bowling and water skiing, and was a skilled teacher of both. A beloved friend of many, she took extra special care of her immediate and extended families. An avid Cardinal fan, and frequent visitor to Busch, she enjoyed games and continually befriended fellow fans and even stadium employees. Judy is survived by niece, Lori Baine; great-nephew, Ryan (Kristy) Wahaib, and great-nieces Jennifer & Kelcie; nephew, Jeff (Diane) Baine; and great nephews, Ross (Lindsey) and Alex (Jessica) Baine. Next-generation family includes grand-niece, Rylie and grand-nephews, Braxton, Thomas, Carter and Elliott. She is also survived by sister-in-law Judy A. Baine of Carbondale. Funeral services for Judy will be 1 PM on Saturday, February 2, 2019 at Meredith Funeral Home in Carbondale with Rev. Dr. K. Stephen Combs officiating. Burial will follow in Oakland Cemetery. Visitation will be 11 AM until 1PM on Saturday at the funeral home. The preferred form of remembrance are memorials in Judy’s name to Scleroderma Foundation and envelopes will be available at the funeral home. To send flowers or a remembrance gift to the family of Judy L. Baine, please visit our Tribute Store. "Email Address" would like to share the life celebration of Judy L. Baine. Click on the "link" to go to share a favorite memory or leave a condolence message for the family.